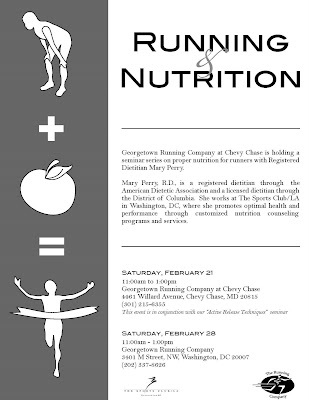 GEORGETOWN RUNNING CLUB: Running & Nutrition Workshop - This Saturday! Ooops, saw the comments below. Matias: I will reveal myself on Facebook. Lauren, you are sooo mysterious :) Thanks for posting!